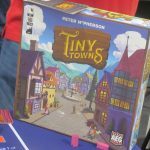 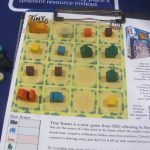 At PAX Unplugged, AEG previewed Tiny Towns (April, $40), a title that pairs resource collecting with polyominoes. 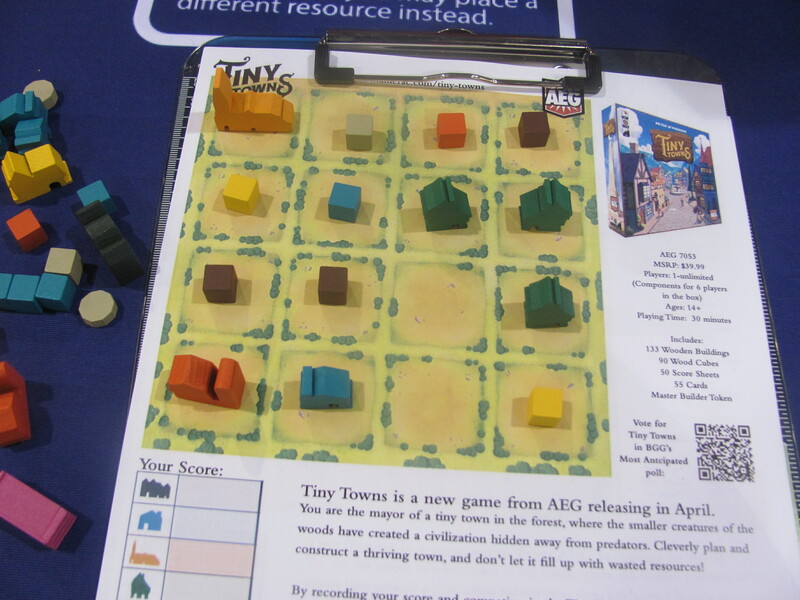 Players take turns calling out a resource type for everyone to place in one space of their 4×4 town board. 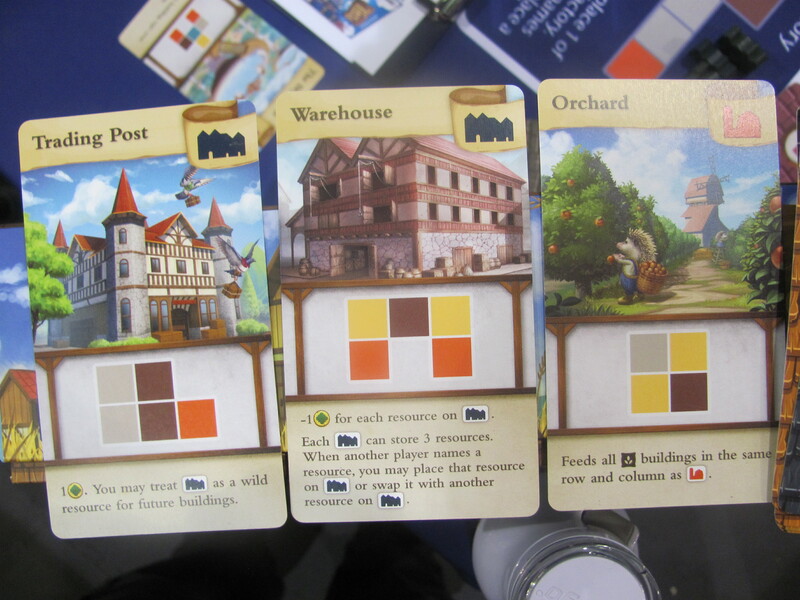 Resource combinations that match specific patterns can then be replaced with a building type—all of the resource pieces are removed and the appropriate building is placed in one of the emptied spaces. 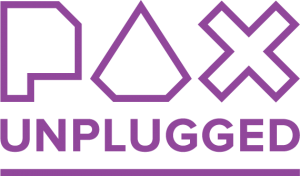 Play continues until no one can possibly make another move. 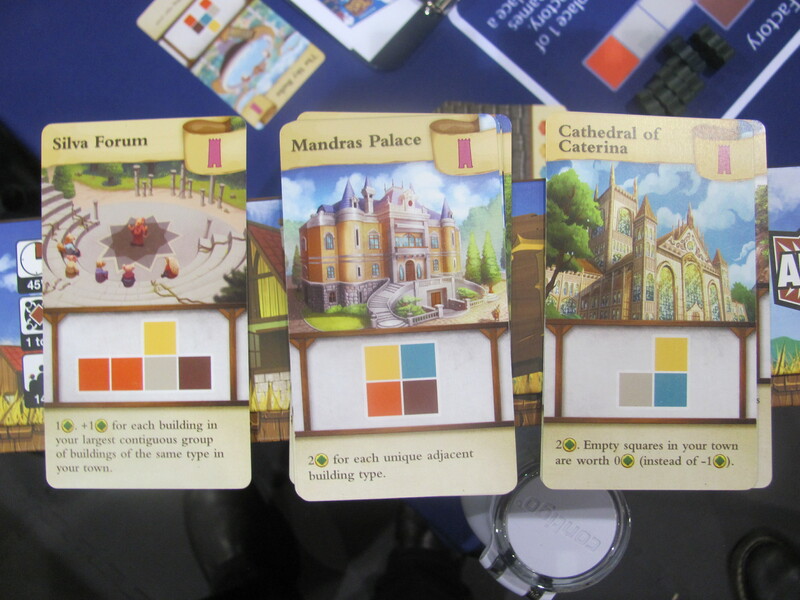 Buildings score victory points, as well as potentially providing some benefits during play. 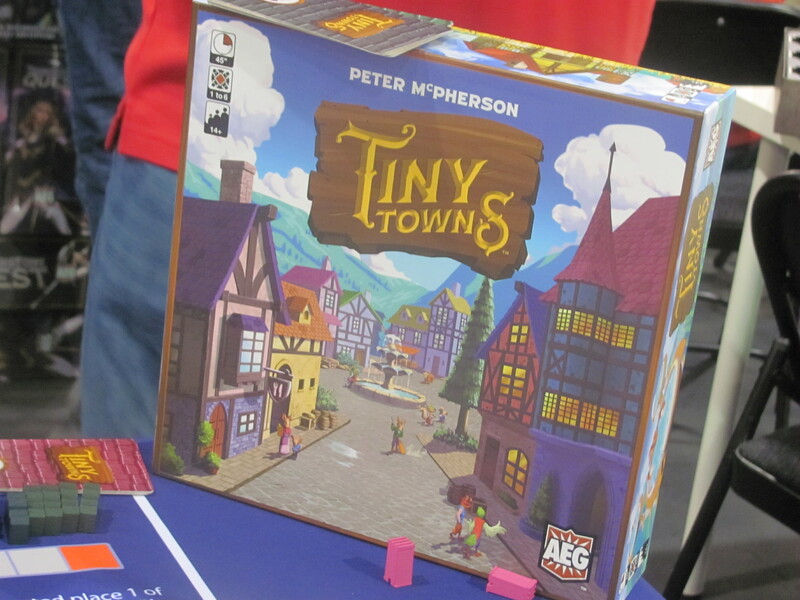 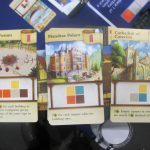 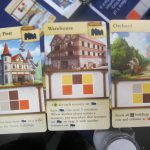 In addition to those available for everyone to build, each player has their own secret building type (referred to as a monument), tougher to fit on the board but with greater benefits.